I'm sure everyone will tell me that this isn't a great PSU but I didn't want to spend £££ on something I didn't need. 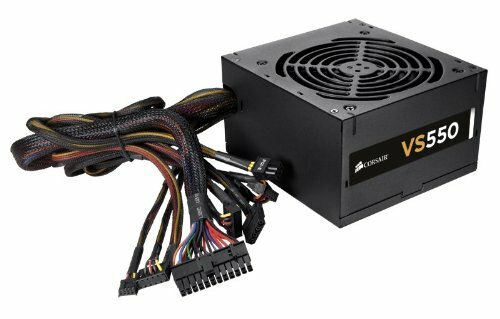 The 550w power supply should be fine for my components and this does come with a 3 year warranty. Really nice and solid PSU for 50 euros! Great 550W Power supply. I managed to pick it up used for free, and it has all the connectors that I need. Can't really complain about anything since its free, but if it was semi-modular that would be nice. Pros: + Good build quality. + Okay price. + Lots of connectors. + Good feel. + Sleaving. Does it's job and quite, an easy 5 stars for it's price. Lovely power supply I got for free. Would be nice if it was semi modular to cut down on the amount of cables there are but it has one job and does it perfectly. An overkill for the power requirements of my build but it is good and works well also is silent with the fans on.